Hi everyone! I don’t know how the weather is where you are but here in southern Indiana it has been a very hot summer. This is, thankfully, the first summer in recent memory that I have not had to call for assistance to help a pet locked in a hot car and so thought this column would focus on how to help our pets safely navigate the ‘dog days of summer’ that are now upon us. 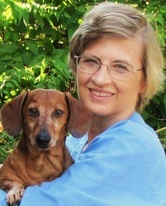 In my many years doing humane investigations for a local animal shelter, education on providing relief from summer heat was an on-going process. In the hustle and bustle of summer activities, we sometimes forget to ensure our pets are adequately protected so I’d like to give some easy tips you can use yourself or share with others. First up is adequate shade. If your pet is in a pen, an inexpensive tarp can be attached as a top and side covering to protect from the sun’s hot rays. Just ensure that the tarp adequately covers the enclosure from all angles where the sun may enter. Many dogs will dig under their doghouse in an effort to find cool earth to lie upon so if you find that fido is digging holes in his pen, be understanding of the reason why. For dogs loose in a yard, trees and bushes or under a deck can be adequate places to find a cool spot to relax. Walk around your yard and put yourself in your pet’s place. Can you find a cool spot? Is your pet’s water container in an area that is shaded all day? Is the doghouse in a shaded area? Try to imagine sitting in a hot box (doghouse) and drinking water from a metal container that has been sitting in the hot sun. all while wearing a fur coat! Sometimes, all it takes is a few minutes to assess your pet’s living arrangements, make a few modifications and you’re ready to go! My mantra for cars, pets and hot weather is ‘Just don’t’! The three just don’t mix. Even a car with the windows cracked in seventy degree weather can heat up to dangerous levels in just a few minutes so imagine how fast a vehicle will heat up in hot, sunny weather. It’s a deadly trap from which an animal has no escape. I tried it once myself in sunny ninety degree weather and lasted about 8 minutes before needing to escape the suffocating heat. I’ve included a chart (at left) so you can see just how fast a car can heat up. Hot pavement or sidewalks is another danger area, more so for dogs than cats. The rule of thumb is that if you can press your palm for three seconds onto a sidewalk or asphalt, then it is safe for your dog to walk on. Otherwise, severe paw pad burns can result in as little as sixty seconds. 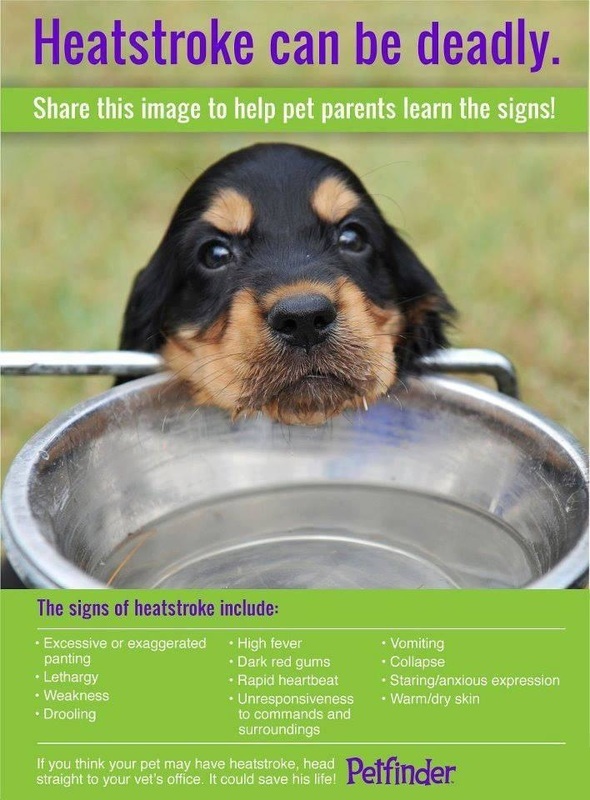 I have also included a chart with the symptoms of heat stroke. Some animals are more susceptible…..breeds with short noses such as pugs, bulldogs, Persian cats, elderly/obese animals or ill pets all typically succumb to the effects of heat much faster than others. A good rule to remember is that if it’s too hot for you, then it’s too hot for your pets. With just a little foresight, your pets will have a safe, happy summer spending time with their beloved family.